Text/Images are are laser-engraved on a premium Black Metal Plate and suspended between two Lucite ® rectangles creating a contemporary, yet elegant look. Mounting hardware includes caps, stand-offs, drywall anchors, and installation instructions. 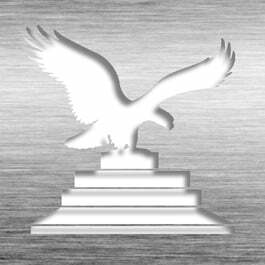 Available in three premium metal finishes: Chrome, Gold, and Satin Silver. This Mission Statement Plaque - TransLucite® JR2-MS15B is part of our Mission Statement and Trademark Series of products, check out other products & options available in the Mission Statement and Trademark Series of our selection. 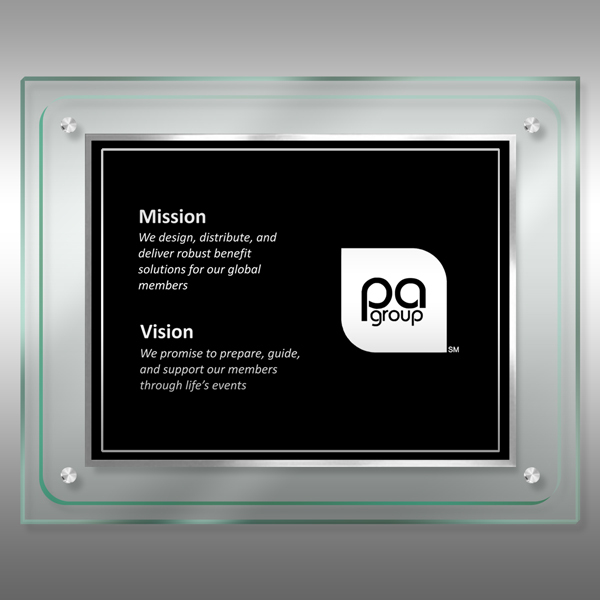 This Mission Statement Plaque - TransLucite® JR2-MS15B can be modified to your requirements and is available for your corporate award programs.